Nigeria Gists: #MustRead: Is President Buhari a Sectional Leader? 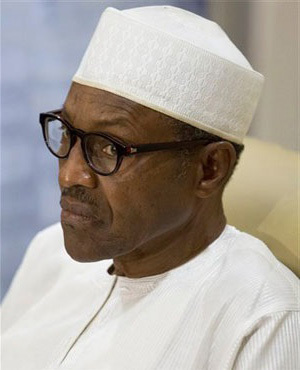 #MustRead: Is President Buhari a Sectional Leader? – Section 14 (3) of 1999 Constitution of Nigeria, as amended. Love him or hate him, President Muhammadu Buhari is a man of destiny. The trajectory of his life’s odyssey clearly points to that. Mr. President has held different public offices from his youth to old age. He has been a military governor, petroleum minister, chairman of the Petroleum Trust Fund, Head of State and now an elected President of the most populous country in Africa. Many will vouch for the President as an honest man hence the appellation of “Mai Gasikiya” which means one who always says the truth in Hausa language. He is seen as an austere man who lives a Spartan life despite having held many privileged positions. However, many others have also alleged that the President is a religious bigot and a provincial leader. In trying to puncture the accusation of bigotry, for the four times he ran for presidential office, he always chose a Christian running mate and twice even chose clerics – Pastor Tunde Bakare in 2011 and Pastor Yemi Osinbajo in 2015. However, The President has yet to fully dismiss the allegations that he is a provincial leader. On his assumption of office, all the major appointments President Buhari made were from the north with the exception of, perhaps, his Special Adviser on Media and Publicity, Mr. Femi Adesina, and the Group Managing Director of the Nigerian National Petroleum Corporation, Dr Ibe Kachikwu. At the time Dr. Ogbonnaya Onu was touted as being likely to be made the Secretary to the Federal Government, the President decided to pick Babachir David Lawal from Adamawa State. The President’s Chief of Staff is also from the North. Now, news making the rounds shows that a chunk of the national security and defence sector is dominated not only by people of northern extraction but also Muslims. Let’s take a count: The National Security Adviser; Chief of Army Staff; Chief of Air Staff; Comptroller General of Customs; Comptroller General of Immigration; Comptroller General of Prisons; the Director General of the Department of State Services; the Commandant-General of the Nigerian Security and Civil Defence Corps, and now the Acting Inspector General of Police appointed last week. Part of the grouse that the Niger Delta militants have against President Buhari is the significant reduction in the annual budgets of the Ministry of Niger Delta Affairs, Niger Delta Development Commission, the Presidential Amnesty Programme as well as the alleged scrapping of the Maritime University in Delta State. The militants believe that this was wilfully done by the President as a payback for their lack of support for his presidential ambition during the last election. They also pointed to the fact that while the President lashed out at the Niger Delta Avengers promising to mete out Boko Haram punishment to them, he was very reluctant to condemn the heinous crimes committed by some perceived Fulani herdsmen against the Agatu of Benue State and Nimbo people in Enugu State. That would seem like double standard. A recent development capable of convincing some doubting Thomases about the sectional inclination of President Buhari is last week suspension of former President Umaru Yar’Adua tenured policy for Permanent Secretaries and Directors in the Nigerian civil service. The Federal Government had on August 26, 2009, through Circular HCSF/O61/S.1/III/68 introduced the tenure policy for directors and Permanent Secretaries. The circular was signed by a former Head of the Civil Service of the Federation, Mr. Stephen Oronsaye. While shedding light on the rationale behind that decision, the then presidential spokesperson, Olusegun Adeniyi, said, “Ordinarily, the Public Service Rule prescribes three years as the maturity period for officers to earn their promotion to the next Grade Level, between GL.08 and GL.14, while the maturity period to move between GL.14 and GL.17 is four years. It follows simple logic, therefore, that an officer entering the civil service with a first degree would require a minimum of 27 years to attain the post of director (GL.17), leaving only eight years as maximum number of years that an officer could possibly spend on the two grades of director and permanent secretary. Unfortunately, available facts reveal that the records of some officers are not in sync with this model; and the real situation is that there are directors who have spent 10 to 12 years on post and still have more than five years to retirement; there are permanent secretaries who have been on the post for more than eight years and still have several years to retire, meaning a large number of hard-working and effective officers who could not be promoted due to lack of vacancies.” This decision was roundly condemned by the northern oligarchs who were favoured by the status quo because of their rapid promotion to directorship and permanent secretary position. This bold step is what President Buhari has now reversed via a June 20, 2016 circular suspending the eight-year tenure policy for permanent secretaries and directors in the Federal Civil Service with immediate effect. The circular was issued to all Ministries, Departments and Agencies by the Head of Civil Service of the Federation, Mrs. Winifred Oyo-Ita. This is unfair to those civil servants who have been hoping to take over from their bosses after the expiration of their eight years directorship. The tenured service that has been suspended was primarily meant “to institute due process in the appointment of directors and permanent secretaries, arrest the succession crisis in the service, create vacancies, reinvigorate the system and boost the morale of qualified and deserving officers”. The President should therefore rethink this suspension order. On the whole, Buhari should know that he is the father of Nigeria and should therefore lead the country by ensuring that there is no ethnic or religious dominance.